The free energy we get from the sun is 10,000 times what we currently use. Harnessing just 0.01% of what the sun bestows on us is enough to sustain us without resorting to polluting fossil fuels. But how do we tap into all that fee energy? Therein lies the challenge. One bold, new approach is self-replicating solar power. The Sahara Solar Breeder Project is leading the charge, hoping to use the Sahara Desert’s virtually limitless quantities of sand, turning silica into silicon, and ultimately into solar panels. These panels will then be used to power more silica-refining and solar panel factories. And these, in turn, will build more solar panels, thus continuing a self-replicating cycle. By its very nature, the concept of self-replicating solar power promises the potential for exponential growth. Proponents of the Sahara Solar Breeder Project claim that it could provide enough solar power stations to satisfy as much as 50% of our planet’s energy needs by 2050. Solar stations built beyond that could provide the Earth with a surplus of energy. The Sahara Desert contains roughly 3.5 million square miles of sand. In terms of silica quality and quantity, this type of sand produces the silicon that’s ideal for the manufacturing of solar cells. Until recently, desert sand has not been used to produce silicon solar panels. Those involved in the project will first need to refine the technology. Engineers will also have to deal with issues of weather and typography when building factories – things like sandstorms and shifting dunes could create serious complications. 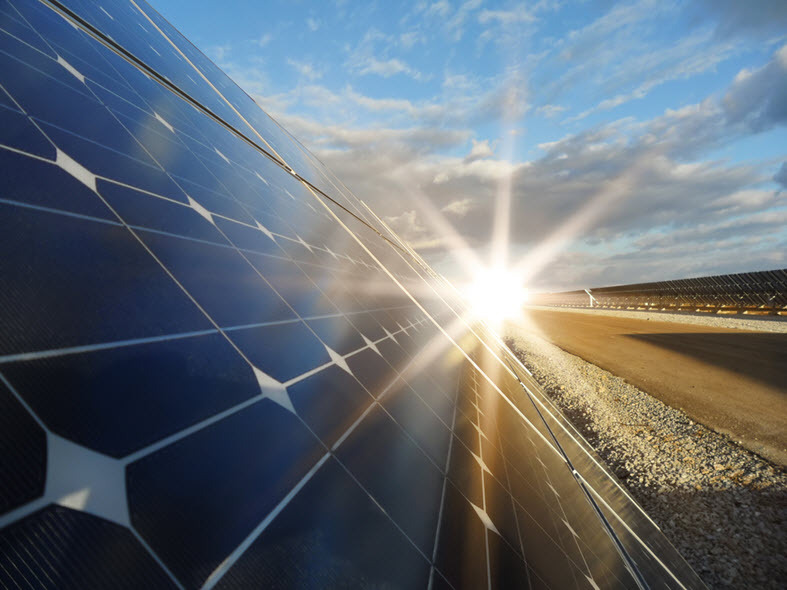 Solar-generated energy must ultimately find its way to the everyday user. Isolated solar stations in the desert will need energy-effective ways of transmitting the power produced. One way is to use superconducting power lines cooled by liquid nitrogen. While solving the problem of electricity transfer without significant line losses, superconducting technology is not easy to handle, especially in the desert. Espousing a different approach, the Desertec Foundation notes that superconductors may not be necessary. Instead, they suggest isolated solar facilities could use high-voltage, direct current transmission lines. These would transport electricity over long desert distances to cities and towns that desperately need clean power. With DC lines, transmission losses would be relatively low, amounting to about 3% for every 1,000 kilometers. Without the need for cooling, transmission costs would come in at just under 2 cents per kilowatt-hour. Sure, it sounds like something out of a Jules Verne novel, but stranger things have happened. Solar panel systems could be sent to the moon and there, be programmed to copy themselves to create vast arrays of electricity-producing solar systems. The same could be done on Mars to satisfy the growing need for power in support of manned missions. Self-replicating systems (led by robots) could mine the soft lunar or Martian surface for for aluminum, iron, and silicon to create the various parts required for solar plants. To keep things simple for our self-replicating robots, researchers suggest solar panels be made as basic as possible, a must if one plans on building in an environment with limited manufacturing resources. So rather than use hundreds of different screw varieties, the number should be less than half a dozen. And rather than different molds for different parts, why not employ a 3D printer to print them? It’s really not as crazy as it sounds. Whether in the Sahara Desert, on the moon, or on Mars, Self-Replicating Solar Power represents a bold new solution to help humans fully harness the sun’s limitless potential for energy—without resorting to fossil fuels.